Did you know it’s only 17 days until Christmas? Have you started making your Christmas cards yet? If not, don’t worry, you still have time to make something quick and easy. And, that’s what I have for you today… a card that is quick and easy to make. To make this card, you’ll want to start by stamping the moon, house, and trees at the bottom of your card. Then you will emboss it with the Softly Falling folder. I just moved my paper around inside the embossing folder until I made sure the dots were not going across my stamped images. The sentiment is stamped on a separate sheet and punch out using the brand new Everyday Label punch. The ribbon is just wrapped around the front with no knot or bow. This is to keep it the card flat for easy mailing. If you wanted to save some time, you could skip the layer of pattern paper between the Real Red card stock and the White card stock. This card can be made in just a few minutes, which is perfect now that we have little more than two weeks until Christmas. 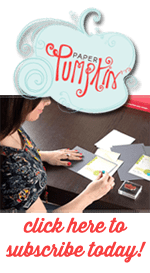 If you haven’t started on your Holiday cards yet, now is the perfect time to pick out a stamp set and your supplies. With the Year End Sales Event, you can get a good deal on some stamps. Items on the retirement/clearance list are while supplies last ONLY. Don’t wait if there is something you really wanted to get.